The Marine Park Prof. Luiz Saldanha, in the coast of Arrábida, is the first marine park in continental Portugal. This area is a Nature 2000 site and is considered to be a hotspot for European marine biodiversity. In 2005, the management plan of the park was implemented, ending several habitat menaces, thereby allowing an application to the LIFE—NATURE Programme. The LIFE-BIOMARES project aimed at the restoration and management of the biodiversity of the marine park through several actions. The restoration of the seagrass prairies that were completely destroyed by fishing activities and recreational boating, was one of the most challenging. It included the transplanting of seagrasses from donor populations and the germination of seagrass seeds for posterior plantation to maintain genetic diversity in the transplanted area. One of the most popular actions was the implementation of environmental friendly moorings to integrate recreational use of the area with environmental protection. Several dissemination and environmental education actions concerning the marine park and the project took place and contributed to the public increase of the park acceptance. The seabed habitats were mapped along the park and a surrounding area to 100 m depth in order to create a habitat cartography of the park and to help locate alternative fishing zones. Biodiversity assessments for macrofauna revealed seasonal variations and an effect of the protection status. 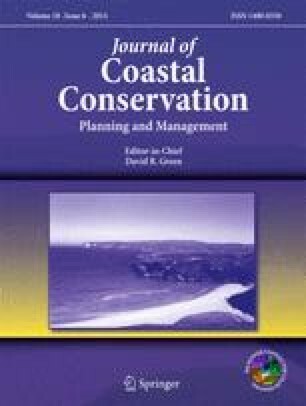 Preliminary results are presented and show that the marine park regulations are having a positive effect on biodiversity conservation and sustainable fisheries, thereby showing that these kind of conservation projects are important to disseminate coastal conservation best practices. The Biomares project is a model project that can be followed in the implementation of marine reserves and the establishment of the Natura 2000 marine network. The project Biomares (LIFE06 NAT/P/192) was funded by the European Union LIFE program and by the cement company SECIL, Companhia de Cal e Cimentos S.A., in addition to national entities co-funding such as CCMAR, ICNB ISPA, INRB and CSIC (Consejo Nacional de Investigaciones Cientificas, Spain).